That’s a great image! I really do like it! Dave, great processing of a great image. Thank you for liking “Pomegranate Blossoms.” Nice photo! 🙂 I also got the sense of abandonment when I looked at this photo because the plants were growing through the open spaces of the staircase as if no one was maintaining this place. 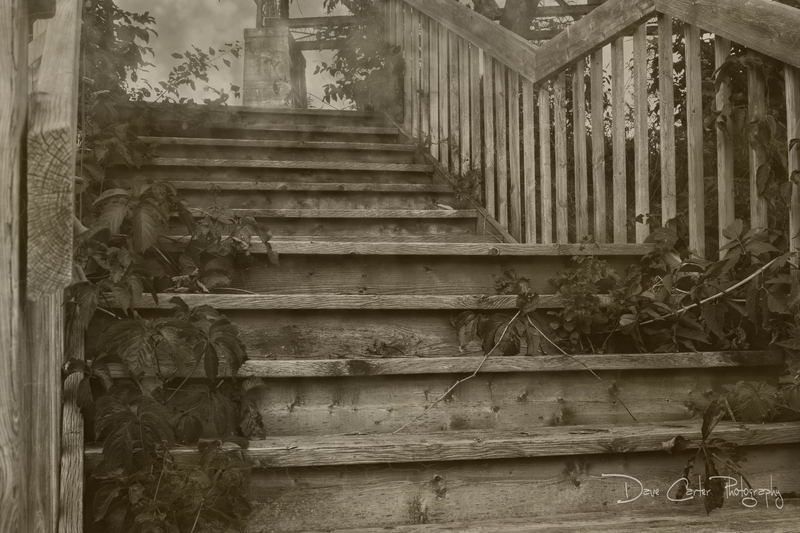 The neglect is what makes the photo interesting to me, and I like the great textures of the wooden staircase.